To help raise awareness of H&S issues in a fun way for all its members of staff, MSL do a monthly H&S quiz - a bottle of prosecco for the winner! To help raise awareness of H&S issues in a fun way for all its members of staff, MSL do a monthly H&S quiz. To help raise awareness of H&S issues in a fun way for all its members of staff, MSL do a monthly H&S quiz. This month it is based around Health & Safety. As submissions for this quiz are now closed, your results will not be posted to our quizmaster, and you will not be entered into the draw for a prize. That said please enjoy filling out the quiz for some fun! 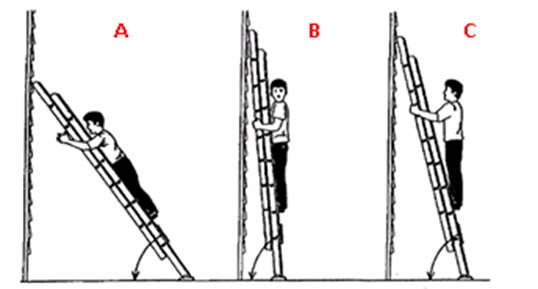 Before a ladder is used, who should check it? You are up on a roof that is flat. How can you BEST make sure you will not fall over the side of the roof? When you get close to the edge get someone to shout ‘Oi don’t fall off’. If at the edge of the roof you put a warning sign. You can use white and red tape to mark out the edge. You are about to use a ladder, at what angle should the ladder be placed? At what height is a person considered to be 'working at height'? What is the correct regulation for working at height? Is working at ground level adjacent to an open excavation classed as working at height? Is walking up and down a staircase in an office classed as working at height?